We have two “puppies” who love to chew. A few weeks ago, they dug up an old tree stump in the backyard just so they could chew on the wood. Animals! Since I’m not about to keep an old tree stump just to let them chew on it, we needed to find some durable dog chews and dog toys that could stand up to their very aggressive, and very destructive, chewing. After a bit of trial and error, some hits and some misses, here are 5 dog toys and dog chews that have lasted for our dogs and that I would recommend if your dog is a chewer and likes to chew a lot. 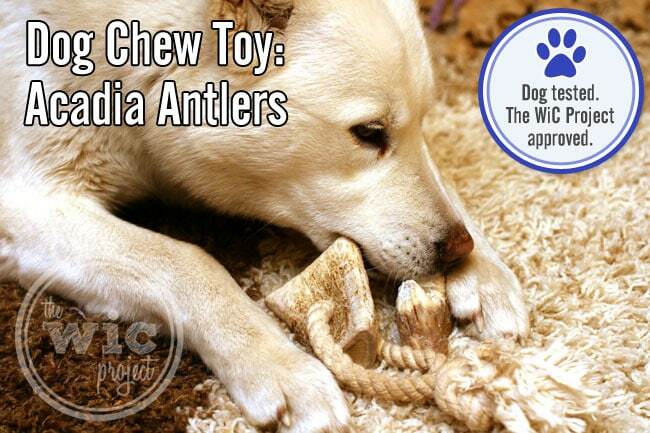 My favorite dog chew toy by far is the rope antler chew from Acadia Antlers. These are made from naturally shed moose antlers and have a sturdy rope that runs through them. The antlers come in different sizes so you can pick up small antler chew toys for the smaller dogs and “colossal” antlers for larger dogs. Moose antlers are harder than deer or elk antlers, and they definitely stand up to the chew test. While some dog chew toys lasted minutes or days, the Acadia Antler chews last for weeks (months even.) Sera and Sophie like the medium antler tynes and the rope antler chews. Prices for Acadia Antlers chews range from $6 to $100+ depending on the size and quantity of antlers you buy. The Nylabone Dura Chew Wishbone Dog Chew Toy is an optimal shape for dogs to hold on to it and chew. This chew toy from Nylabone is designed to be chewed. Made of a durable plastic, it creates tiny bristles that help clean teeth and prevent plaque and tartar build-up. As the dog chews, the bristles break off into tiny pieces of plastic as the dog chews. These pieces are probably swallowed by the dog but are not harmful to them as they simple pass through the system. After several months, the two that we have are still about 90% there, and it’s not for lack of chewing. The wishbone shape helps them grip the chew toy between their paws, allowing them to really chew on the bone. The Nylabone Dura Chew Wishbone is currently on sale on Amazon for $8.59 for the wolf size and $6.52 for the regular size. An old tennis ball usually does the trick when it comes to playing fetch. The thing with tennis balls is that the green fuzz usually wears off, is torn off, or, when you have a dog that likes to chew, chewed off. A more durable alternative for use are the large Chuckit! Ultra Balls. You can use them with the Chuckit! launcher, but I just throw by hand. Made of natural rubber, the Chuckit! Ultra Balls aren’t too heavy, have a good bounce, but most importantly, they’re quite durable. I’ve often seen Sera on the grass just chew, chew, chewing the ball without it popping or breaking into pieces. 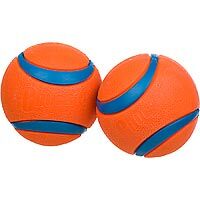 A fun twist on the traditional rubber ball, the JW Pet Company Hol-ee RollerDog Toys are a lot of fun. They are made of a slightly flexible and durable natural rubber. The gaps between the grids make it easy, but not too easy, for the dogs to get a bite of the ball. I think that’s one of the reasons it lasts so long. They can bite it, but it isn’t something they can gnaw on. I like putting one of the Acadia Antlers in between the grids as a sort of puzzle for them to get the antler out. You can also put treats inside to make playing with the Hol-ee Roller even more fun. The grid shape also allows humans to get a good grip so you can play tug-of-war with it as well. The JW Pet Company Hol-ee Roller Dog Toy comes in four different sizes, ranging from 3.5 to 9-inches and ranges in price from $5.19 (for 3.5″) to $13.83 (for 9″). PetProjekt Cosmo – Giant Microbe or Dog Chew Toy? When I first saw these, I thought they looked like little microbes. These are made with 100% natural rubber and are a little bit “softer” than the rubber that the Chuckit! Ultra Ball is made of. However, they still last surprisingly long. I think it’s because each of the little legs sticking out prevents the dogs from getting a good grip on a leg with it’s rear teeth. While they might successfully chew off the ends of a few of the legs, overall this one has held up pretty well. The girls tend to chase these and chew as opposed to chewing on them as they would a bone. But they’re still durable and have stood up to their aggressive chewing. Available in both small and large sizes, as well as in three different colors, the PetProjekt Small Cozmo is $5.51 and ideal for small to medium dogs (5-50 lbs), while the PetProject Large Cozmo is $9.56 and good for medium to large dogs (50-100lbs). What About Plush Dog Toys? There is a reason there are no plush toys on this list. While I may think they’re “too cute” and “so soft”, the dogs can literally de-stuff any stuffed toy within a matter of minutes. 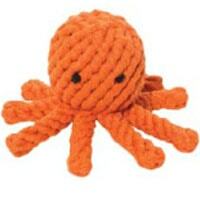 The longest lasting “plush” toys were the Jax Rope Toys, which aren’t really plush, but are more rope stuffed animals. We got Elton the Octopus in a BarkBox and bought Hank the Hippo. Elton lasted about 30 minutes of serious dog chewing before being de-stuffed. Hank lasted a little longer. I think the difference being that Elton has eight rope arms that are perfect for biting and tugging on. The rope bodies have lasted much longer and I’ve left them around since the girls still like playing with them. These would be great for smaller dogs, especially teething puppies that don’t have their “big dog” teeth yet. Is your dog a chewer? Do you have a favorite dog chew toy that can survive aggressive chewing? Disclaimer: This post consists of my opinions. Your experiences may be different. No compensation was given for this review. I purchased all of these products. I completely understand having a toy destroying dog. My dog can easily tear apart many toys that are considered durable. At toytails.wordpress.com you can read about whether the toy is durable or not with pictures of before and after. 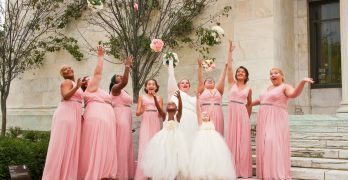 This is a great review. I love that you are reviewing Pet Products. I spend a lot of money on things that fall apart or my dogs or cats don’t like. I like the chews for teeth cleaning. One of my dogs is over 200 pounds and we haven’t found anything he doesn’t chew and fill his tummy with quickly. I noticed you actually had a “Pet” section in your review section, sooo……. I was wondering…have you ever reviewed a product that is a “vest of sorts”, that you can put on them if they are having fear issues with anything? You are referring to the thunder vest I believe although I have not tried it directly I know it works by reducing static in the dogs fur, which in turn calms them. I need to look into some of these. My mom’s dog chews everything including walls! I have a husky mix so I can understand. My dog can easily tear apart many toys that are considered durable. 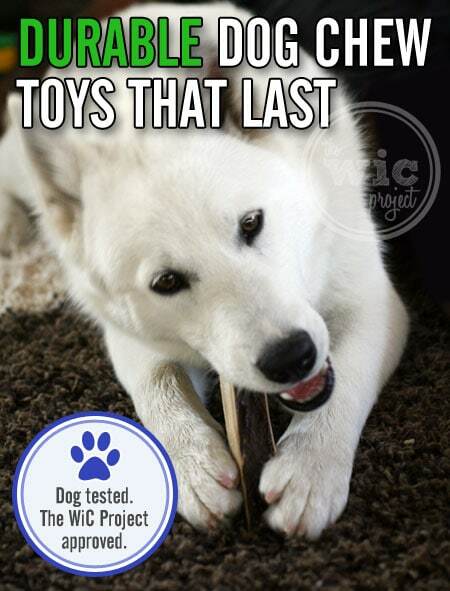 At toytails.wordpress.com you can read about whether the toy is durable or not with pictures of before and after. What breed of dog is in the pictures? He can kill any other indestructible toy we’ve tried. It gets really expensive having to keep replacing the dogs toys. They destroy them quite fast so I thank you for reviewing the toys. I’m definitely going to check them out. If you want a soft toy.. fluff and tuff dog toys!! Lasted months with a bernese that can destroy almost any toy in minutes!! Only stuffed toy ive found that lasts! If you want a soft toy get fluff and tuff dog toys!! Lasted months with a bernese that can destroy almost any toy in minutes!! Only stuffed toy ive found that lasts! Good to know! 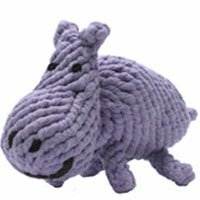 Our stuffed toys usually last a matter of minutes (literally) before they start losing limbs and stuffing, so we definitely need one that’s durable. For plush toys we’ve tried Tuffy’s (mentioned above, available on Amazon) and have had a TON of success with those. A couple of them haven’t held up as well as others but overall they’ve been great. Avoid the penguin or the pig but the stegosaurus, ant, scorpion, shark, and ring-shaped have been awesome. They float too! West Paws’ s-shaped Bumi toy has lasted a long, long, long time with my 90lb Shepherd retrieving, chewing and tugging it. She has two small and one large and still has all three. One small one is just now showing some wear and tear but not quickly giving up. You can also get a Hurley (sort of bone shaped) and some other shapes, but my girl loves the S-shaped one. I highly recommend this toy over and over again. The material is kind of rubbery but not a rubber toy and not plastic. It’s a new material – very tough but flexible. My Labrador loved chewing on antlers, until he cracked TWO teeth. He had to have them pulled. My vet told me this is fairly common when dogs are given antlers. Beware! The wubba- kong brand you. It’s at petco or target, worth the 12$. My pitbull has has this toy for 3 months and broke the ball inside but still has not been able to tear it apart. It’s a great toy. Also a Cow shin bone is a god send. I give it to her everyday for a few hours at a time and it’s withering away but it’s lasted 2 months already, only 5$. I no longer buy any other toys or bones. Take it from me you can find them both at target and would love them both!!!! We love the Tuffy toys for our chewer! He has three of those, and I found a plush pig (with a squeaker!) at Petco that seems to be made with similar materials/design. The Tuffy brand toys work well because they are designed to be a little bigger than what is comfortable for serious chewing. K9tuff.com has a number of other toys that work well too, and some even come with a lifetime warranty, so if your chewer does destroy the toy, they will replace it (at least that was the policy when I bought a toy from them last). 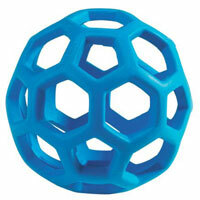 I would suggest the orbee-tuff diamond plated ball it is very durable without being extremely hard. You can also put treats in it. Check out http://www.toytails.wordpress.com to see more durable toy reviews. I have a TOP 5 DURABLE TOY LIST. JW hollee rollers are not durable for any medium to strong chewer, especially those that like to rip their toys. Jump has a line of tougher plush toys that are suitable for strong chewers, but not for extreme chewers. My dog must be part shark because none of these would last beyond a few minutes. I highly highly recommend Goughnut toys for anyone who has a dog with shark in the breed mix. My dog is an American bulldog/pit mix. Very living dog and not aggressive towards people. But to toys he loves to chew them apart. We gave him angers and finished them in a day. We gave him the chuck it ball and destroyed it. And the JW soccer ball looking thing he loves but finds the only solid part and rips it apart from there. The best indestructible chew toy I have ever found is not even in your article. I found it at bulletproofpetproducts.com and it is called an Indestructibone. I have 1 Pit Bull, 1 Lab that weighs over 125 pounds, 1 Labraheeler and 6 more dogs. I bought one for each of them and they love them! You load the ends with peanut butter or other treats and wow! Most of my dogs sleep with them and they have had them for over 6 months and they are still in one piece. 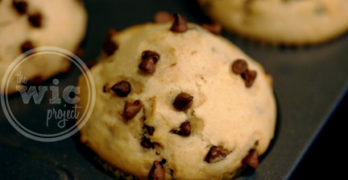 You have just got to try one!! #4 is not recommended for destructive dogs, power chewers or majority of large dogs. I agree with most of the choices above EXCEPT the hol-ee roller ball. It is NOT durable at all. I purchased it to put a bone inside as a puzzle and my dog had it torn in multiple places in no time. It is very soft rubber. Not recommended as a durable toy !! The only two I agree with and highly recommend are the Antlers and Nylabones. I have Boston Terriers and they’ve destroyed the others. Try a indestructibones. Your dog will love it. Black Kong – no other color as they are too soft. Tested by Seamus the terrier (after two emergency surgeries and thousands of dollars later).